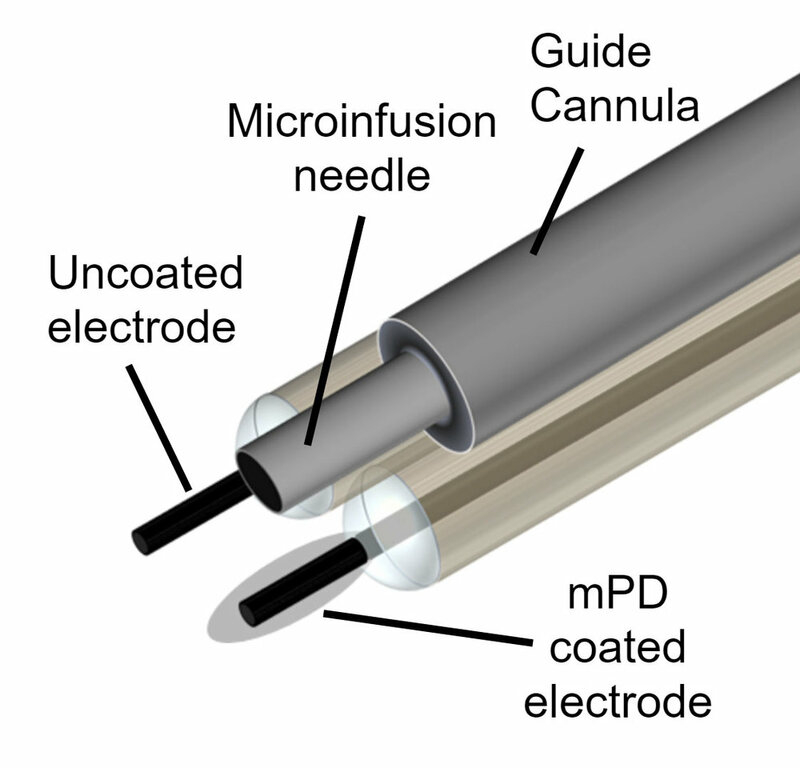 The benefits of combining electrodes into an array include the ability to simultaneously monitor discrete microenvironments and electrochemically manipulate the local environment. 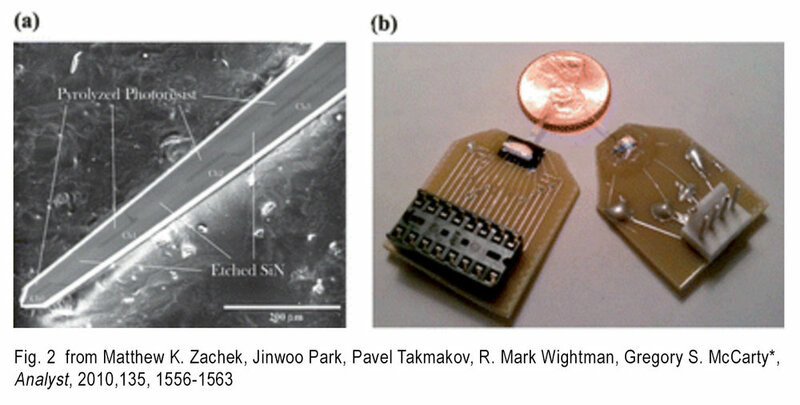 Both disc-shaped and cylindrical electrodes can be incorporated into microarrays to allow simultaneous voltammetric measurements at multiple sites in vivo. Microfabrication of electrodes permits high yields and reproducibility, and we are custom fabricating sensor arrays to begin the process of both collecting chemical information and biasing the recording environment.